Our thoughts and prayers extend across the miles to our family, both blood and blue. We know your pain and grieve your loss. Though we cannot be with you as you begin the difficult journey ahead, please know we are with you in spirit. A loss to one is a loss to all. We pray that the Lord hold all of you in His hands and grant you peace in your hearts. Detective Parque, your life, service, and sacrifice matter to us and will never be forgotten. Godspeed. Prayers and deepest sympathy to Officer Parque's friends, family and co-workers. Officer Parque thank you for your service to law enforcement. Rest in peace brother. ***♡♡♡ Prayers/Blessings for the Immediate Family as well as the Department Family of this HERO Officer ♡♡♡***. Thank you for your service. Thoughts and prayers to your family and the law enforcement community. Thank you for your service and sacrifice. Rest In Peace Detective Parque. Our deepest heartfelt condolences to all of your family, friends, and brothers and sisters at North Las Vegas Police Department. May God be with your family. I pray each day for our heroes in blue. The board and staff of Peace Officer Ministries send our condolences and lifts prayers for Det. Parque's family, friends, and colleagues. To the family of Detective Chad Parque, friends, Chief of Police Alexander Perez and the North Las Vegas Police Department. 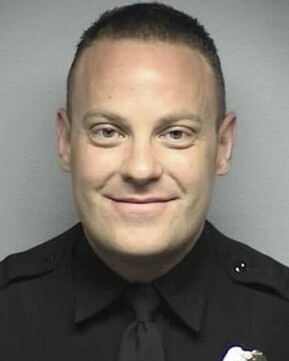 Give strength to us that are left behind; but also know that Officer Chad Parque will continue to be a courageous protector, only now from above. Prayers and condolences to his family, friends and the law enforcement community. When I start my tour of duty god, wherever crime may be, as I walk the darkened streets alone, let me be close to thee. Please give me understanding with both the young and lod. Let me listen with attention until there story's told. Let me never make a jugment in rush or callous way. But let me hold my paitence, let each man have say. lord if some dark and dreary night i must give my life, lord with your everlasting love portect those special in my life. RIP Brother. May God be with your Family and loved ones. Rest easy now. Thank you. Detective Chad Parque, thank you for your service. Thank you so very much for your service not only to the people of Las Vegas but, truly, to the entire country. You lived as a hero and will forever be rememreberd. Your sacrifice will never be forgotten. Detective Parque, thank you sir for your service. The citizens of the city of North Las Vegas are mourning their loss. We will keep your family and Department in our thoughts. Please watch over us as we carry on. Kingdom of Heaven. May God bless you and your loving family. Rest in peace Detective Parque. I ask Our Heavenly Father to comfort and watch over your family, friends and the North Las Vegas Police Department. Thank you for your dedication and service. God's speed brother.